Nexus update documents on T-Mobile's website have just been updated to reflect the newest release of Android is coming: 5.1. Build LMY47D has been spotted in the wild in the past week or so numerous times, but T-Mobile's document is saying that rollout should be happening today for the Nexus 4, 5, and 7 (2013). Whether or not it's right is another question entirely. Android 5.1 brings tons of stability and bug fixes, as well as new features (check some of them out - here). We do not yet know if T-Mobile's update document is accurate as to timing, but we do know Android 5.1 is probably coming quite soon. 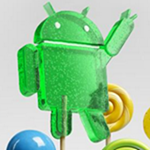 We also know that we really, really want Android 5.1, please.